FEMALE millennials in financial services (FS) globally are playing an increasingly crucial role in the growth of the sector, though many financial services firms have yet to adopt attributes that would attract this particular pool of talent, according to a report published by PwC based on international research. Typically inclusive of women born between 1980 and 1995 and entering the workforce in higher numbers than previous generations, female millennials are seeking strong opportunities for career progression, good wages and benefit packages, and diversity and equality within the organisation, the report shows. By not possessing many of the attributes desired by female millennials, employers will lose out to competitors. The report surveyed 8,756 female millennials from over 70 countries worldwide, of which 596 work in financial services globally (banking and capital markets, insurance and asset management). Of the 596, 63 or 11 per cent are working in banking and capital markets in Singapore. Adjusting businesses is key in order to anticipate the "new era of talent" comprising female millennials, the report showed. Firms were encouraged to set targets in order to demonstrate a commitment to promoting equality, determine objective measures of workplace performance and potential, and compare promotion rates between men and women to identify biases. "There is clearly a danger that if expectations aren't met, women will simply be put off joining the financial services sector or vote with their feet and leave," said Karen Loon, PwC Singapore's Banking and Capital Markets Leader and Diversity Leader. "At a time when 70 per cent of FS CEOs see the limited availability of key skills as a threat to their growth prospects, it clearly is vital to make the most of all the available talent, including women." The report also noted the benefits of hiring female millennials would especially be seen in Asia's burgeoning wealth management sector. Female millennials in private banks and wealth management firms would facilitate building relationships with female clients in particular, hence giving firms an added edge. 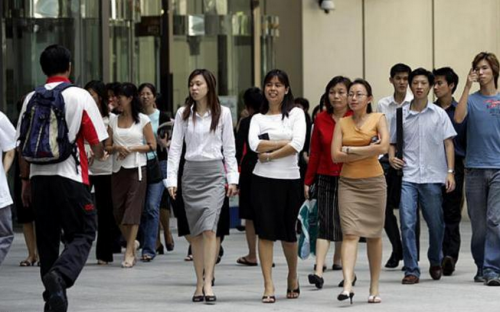 From an additional PwC survey of 297 of Singapore's female millennials from all industries, including technology, business services, and government and public services, career progression was listed as the most attractive employer trait for 58 per cent of female millennials, and 82 per cent viewed working outside their home country as a vital element to a successful career. Of the surveyed, 92 per cent placed diversity, equality and workforce inclusion at the forefront of their requirements from their employers, though 70 per cent felt career opportunities were not equal. "With many organisations still continuing to focus on the changes required to their culture, the attraction, retention and success of women at all levels of the organisations will surely be an important factor in their successful transformation," added Ms Loon.